commercial, industrial site or perhaps 50 acres in the bush Muskoka Real Estate Services Inc. can provide you with professional real estate advice backed by 45 years of experience. As members of Muskoka Haliburton Orillia the Lakelands Real Estate Board, the Ontario Real Estate Association and the Canadian Real Estate Association we can provide you with National exposure of your property when selling and offer you the professional advice needed when buying. We offer all Multple Listing Services used in Muskoka, Ontario and by realtors throughout Canada. We know you will be satisfied with the service you receive from all of us whether you are buying or selling at Muskoka Real Estate Services Inc. and we thank you for visiting out site. Take a look at our informative ‘Lakes Info‘ section, or Planning a Move section. Our office is the oldest in Gravenhurst and one of the oldest in Muskoka. Formed in 1980 as Muskoka Realty, the name was changed to reflect the full services provided by the company. 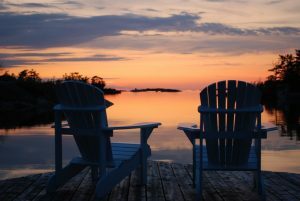 Originally specializing in the sale of cottages throughout Muskoka, our services expanded with the sale of more retirement homes in and around Gravenhurst. After the economic downturn in the 1990’s we adjusted and sold more commercial and investment properties than in previous years. In 1994 ‘Capital Gain’ evaluations were required by cottagers wanting to claim their $100,000.00 capital gain exemption and we helped over 500 customers in a 4 month period. We work for local banks, provide ‘Opinions of Value’ for cottage owners planning their estates or appealing their taxes and provide analysis of investment properties for the purpose of selling or buying. Muskoka Real Estate Services Inc. is a full service real estate office. Our agents continue to take upgrading courses and attend seminars on a regular basis every year in order to serve our clients ever more professionally.